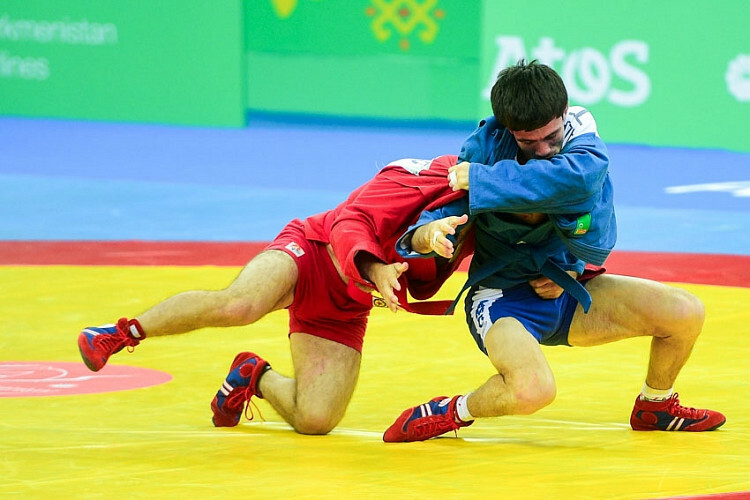 Turkmenistan has crowned its national sambo champions after a tournament in capital Ashgabat. More than 160 athletes from across the country gathered for the Turkmenistan Sambo Championships which were held at the city's Olympic Complex. They were organised by the Ministry of Sport and Youth and the National Martial Arts Federation of Turkmenistan. In seven of the nine men's weight categories, athletes under the tutelage of acclaimed Turkmenistan trainer Nuryagdy Mamedov won gold. All of the winners in the male events came from Ashgabat. The capital also provided seven of the winners among the women's events. Following the results of the competition, Turkmenistan has selected its team for the international competitions which will take place in 2019. Turkmenistan won eight gold medals in sambo when the country hosted the 2017 Asian Indoor and Martial Arts Games at the Olympic Complex. It saw the country top the medal table in the sport with six silver and nine bronze also part of their tally.